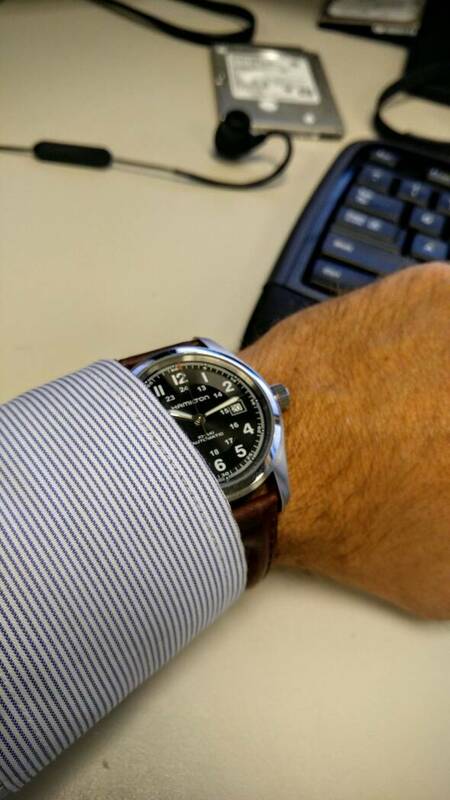 At the risk of duplicating the WIWT thread I thought I'd start one dedicated to watches. 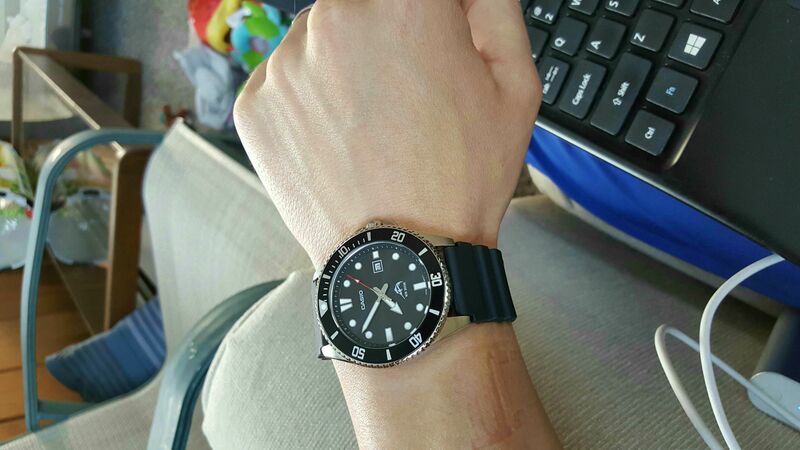 For those of us who are more watch focused I suppose. Very nice Bambino. I have mine on a Color #8 shell cordovan strap from Guarded Goods. Love it. 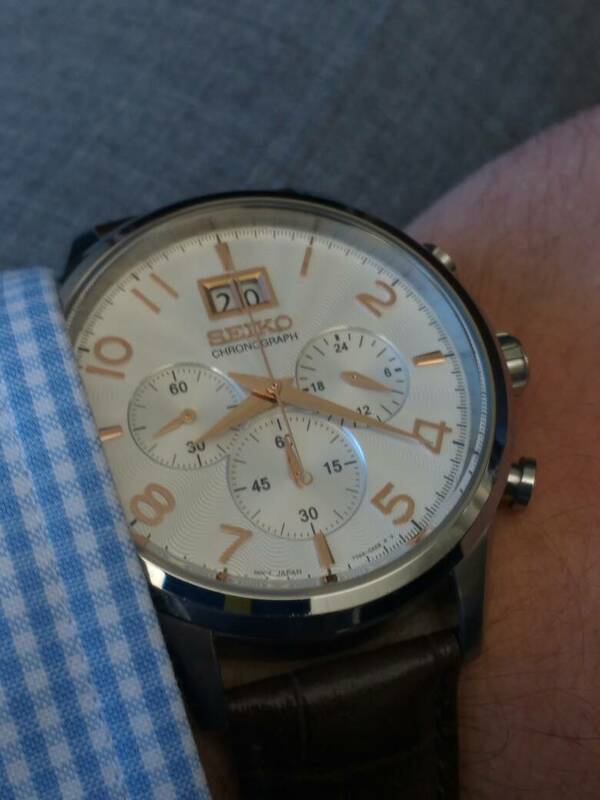 Today: white Casio Edifice on a blue leather strap from Hadley Roma. This might not have the lifespan of WIWT since there aren't as many possible combinations as when putting together a whole outfit, but I like the idea just the same. This is a recent acquisition, a Vostok Amphibia 090 with an aftermarket bezel and Seiko bezel insert, on a Clockwork Synergy NATO. 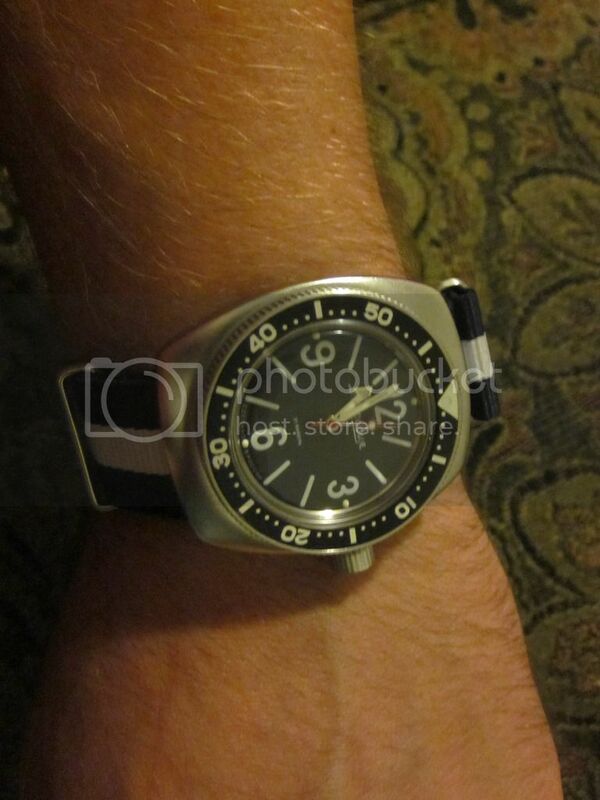 Currently wearing a Victorinox Dive Master 500. This is definitely the largest, heaviest watch that I own. 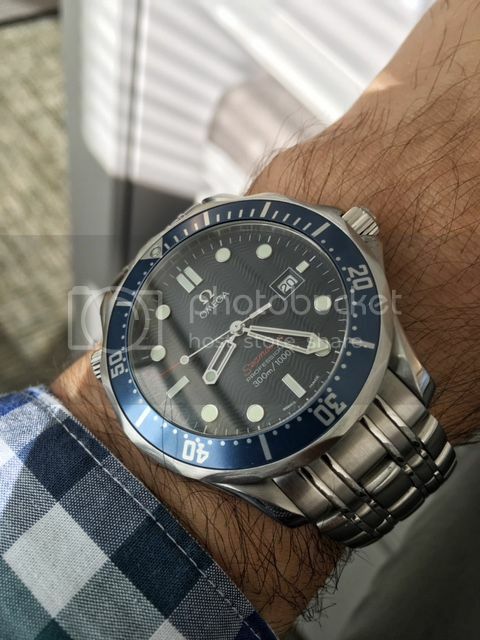 New Casio MDV106-1AV. Nato straps (army green for fall; red, white and blue for summer) coming from clockworks today. Snagged it for $30 on Amazon deal day. I can get down with this thread. Nice watches already. I am no great photographer but I will try and incorporate some of what I am wearing if it made an impact on my watch selection. 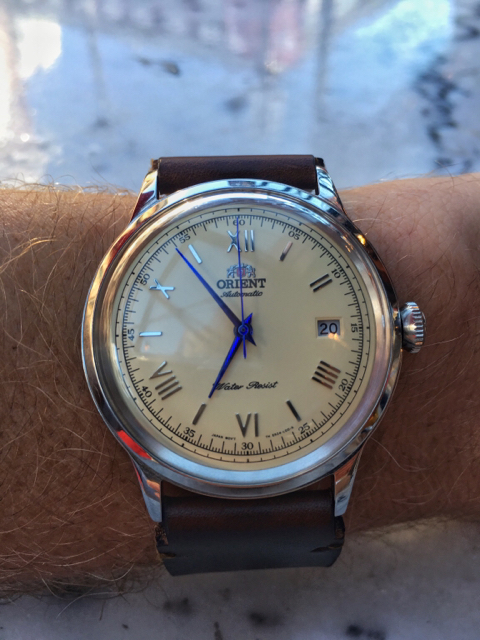 Hamilton field auto on a hadley roma strap. This combo gets a lot of wear. 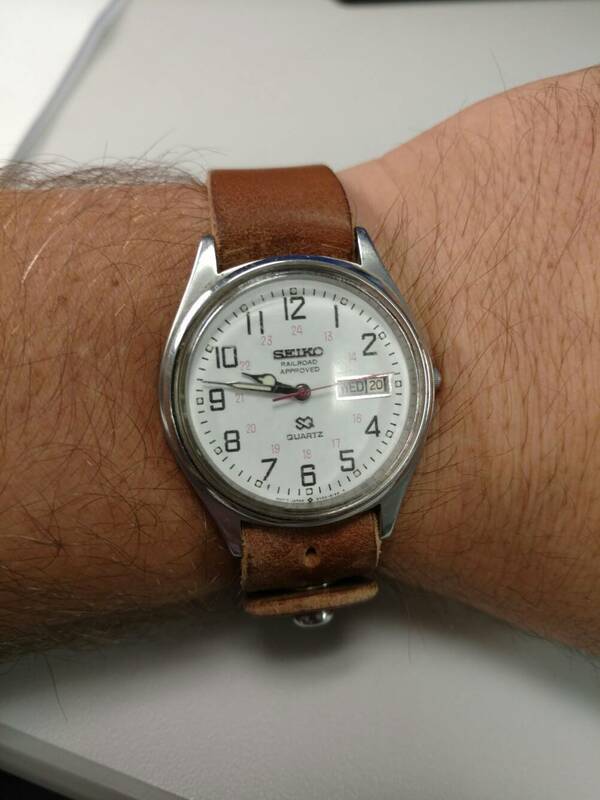 My grandfather's Seiko that passed down to me. Original bracelet is broken so now it lives on a rotation of button stud bands from form function form. Today it's natural shell.